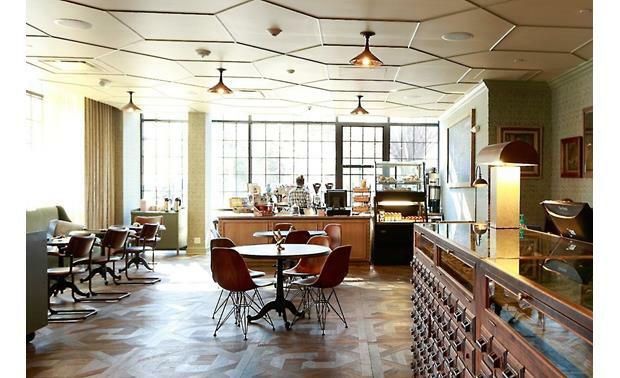 One of our go-to speakers when designing a system that blends seamlessly into business decor. Atlas FAP62UL - In-ceiling design blends beautifully with just about any decor. For high-fidelity music options and clear voice reproduction when you make a company-wide announcements, the FAP62T is an excellent addition to your distributed audio system. 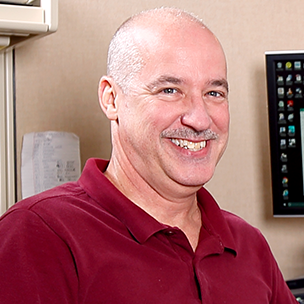 It's also one of our go-to speakers when designing an unobtrusive system for a business. 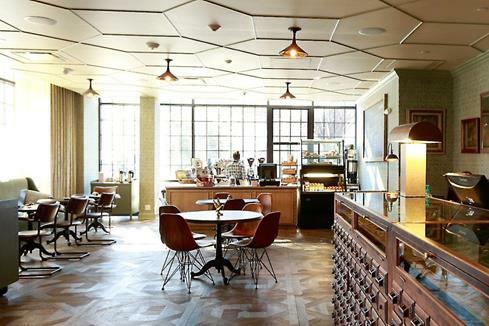 The FAP62UL's in-ceiling design blends with your business's decor, like in this coffeeshop. 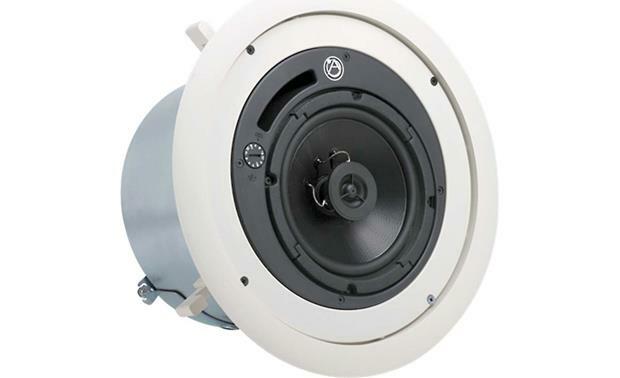 The speaker features a 6" woofer and coaxially mounted tweeter, and it's UL-rated for safe in-ceiling mounting in air handling (true plenum) spaces. Mounting gear for tile and sheetrock ceilings is included. The speaker is designed for maximum flexibility in a 70- or 100-volt distributed audio system, thanks to 2, 4, 8, 16, and 32-watt selectable taps that are easily accessible on the face of the unit. Included Phoenix-style Euroblock connectors allow for easy daisy-chain wiring for multi-speaker installations. Drivers: The Atlas Sound FAP62T-UL2043 is equipped with a 6" polypropylene woofer with a 1" voice coil, and a Butyl Rubber surround. The 19mm (3/4") PEI dome tweeter is coaxially-mounted over the woofer. The drivers are housed in a low-profile 475 in³ optimally tuned and ported, deep drawn, galvanized metal enclosure. UL-Listed: The FAP62TC-UL2043 is safety listed with Underwriters Laboratories to UL1480 and UL2043 specifications, allowing for installation in true plenum air spaces. Wiring Options: The FAP62T-UL2043 has a removable 4-pole Phoenix style / Euro connector for 70.7V, 100V, or 8Ω applications. This type of connector allows you to conveniently pre-wire the speaker connections, then simply plug them in when installing the speakers. The connector can accept bare wire up to 14-gauge speaker wire. 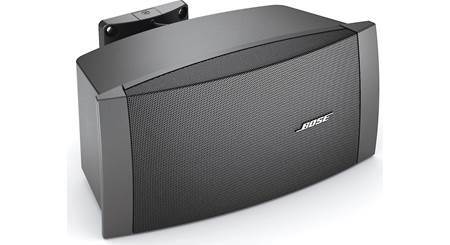 The speaker is equipped with line matching transformers, requiring an amplifier capable of driving a 70.7V/100V line. Depending upon the amplifier's wattage rating and the number of speakers being driven by the amplifier, you can select a 2, 4, 8, 16, or 32-watt tap at 70.7V/100V. The tap selector is conveniently located on the front of the speaker, allowing you to set or change the taps without removing the speaker. You can also bypass the line transformers and connect the speaker to a consumer amplifier (the speaker has an 8Ω impedance). 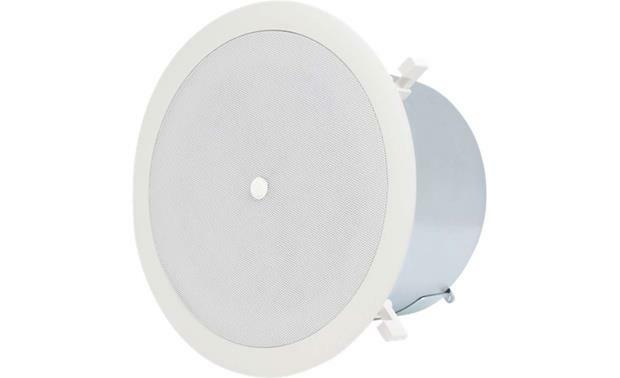 Speaker Placement: The Strategy Series II in-ceiling speaker mounts easily into existing construction drop ceiling or drywall with the provided tile bridge assembly. The tile bridge assembly consists of two V-shaped mounting rails and a C-ring assembly. "Dog Leg" tabs hold the speaker securely in place. For new construction drywall applications, the optional FAP62-TR trim ring may be used to mark the location for drywall installers to cut around. Mounting holes in the trim ring accommodate 16" or 24" on-center joist mounting. The top of the FAP62T-UL2043 enclosure includes a support ring for attaching the mandatory auxiliary support cable for drop ceiling installations for safety and seismic considerations. 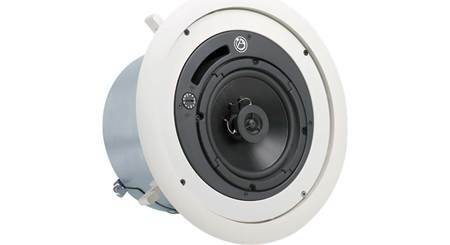 Searches related to the Atlas FAP62UL 6" commercial in-ceiling speaker (true plenum rated).